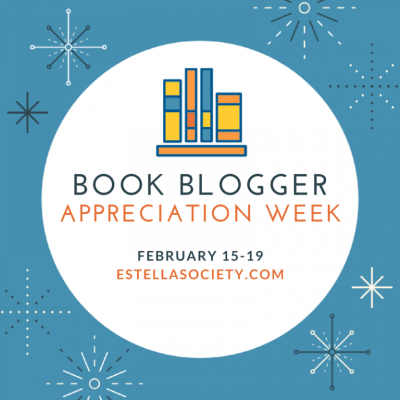 And on this second day of Book Blogger Appreciation Week, everyone interviews everyone else! The interviews have always been my favourite part of BBAW. They're a fun and fabulous way to get to know not only our own partners but everyone else who participates in the exchange. And for me personally, they take me out of my comfort zone as I dust off my rusty, rusty interviewing skills. Interviews are scary, y'all. But they're also doable. This year, I spoke with Jennifer of The Relentless Reader, who graciously answered my questions about the joys of Little Free Libraries, the bookseller life, and her love of Star Trek. She interviewed me over on her blog, too! I love that you're a Little Free Library steward! What's the most interesting thing anyone's every left in your LFL? And what's the creepiest? I've had mostly great luck with my Little Free Library. There was a gentleman that kept leaving religious pamphlets every time I left my house. It was creepy because I felt as if he were watching me come and go. I left a sternly worded note and that was the end of that. What do you love most about the bookstore where you work? Recommending books to customers is at the tippy top of my list. I love to ask them questions that allow me to figure out the type of books they like. Those sorts of questions always lead to the most fascinating conversations. I love to send people on their way with a book I'm sure they'll enjoy. I even told one customer that if he bought a certain book but didn't like it I'd buy him a cup of coffee, ha! He came back to tell me thanks and that he enjoyed the book very much. I very nearly bowed. A confession: steeped in SFF as I am, I recognize relatively few of the authors in your review directory. Where do you find your best recs? I credit/blame my blogging pals for most of the books on my TBR pile. These darn book people are in every corner of my life! Twitter, Facebook, and Instagram are full of them. I really wouldn't have it any other way. I might complain about the crazy stacks teetering here and there but book people are the best people and I can't imagine my life without all of you in it. What are your top three LGBT novels or comics? I adore TV as well as books, and I'm fascinated with peoples' TV Obsession Origin Stories. How did you get started with Star Trek, and at what point did you know you were addicted? I love this question because I'll take any opportunity to talk about Star Trek. (Just ask my family!) My obsession began when The Next Generation debuted in the late 80s. I was a young teen and I was completely hooked. There was nothing like it on television, nor had there been as long as I'd been alive. It's such a huge world to explore and I was only too happy to jump in the deep end. I think I knew I was hooked when I ran out to get a Klingon tattoo as soon as I turned 18. That was...a few years ago, ha ha. Thanks very much, Jennifer! It was great getting to know you a little better. This was fun, thanks for having me! That DOES sound like a creepy experience - glad he listened to your note! Also, hi Jennifer! Helllooooo Amanda :D Yeah, he was a strange duck. I still see him around the 'hood now and then. I try to avoid him at all costs, lol. He's probably a harmless fellow but I didn't appreciate him being so sneaky with his propaganda! I love that you're a Little Free Library Steward, Jen. Thanks! It's so rewarding! I love to watch people coming and going with books. You very nearly bowed, hahahah, love that. Recommending books is so rewarding. Ha ha! I felt pretty darn proud of myself, lol. I love that you've got a Little Free Library going, Jennifer! Ha ha! It mostly runs itself, thankfully. I watch over it and add books when needed but that's about it. Non bloggers have a harder time of it, I think. We have better access to books which makes it a lot easier. Hahahhaha! This was absolutely glorious. My favorite part? Jen's Klingon tattoo. She just doesn't do things by half measures. Oh thanks for the LBGT recommendations! That's a bummer :( I hope you have one near you that you can use!